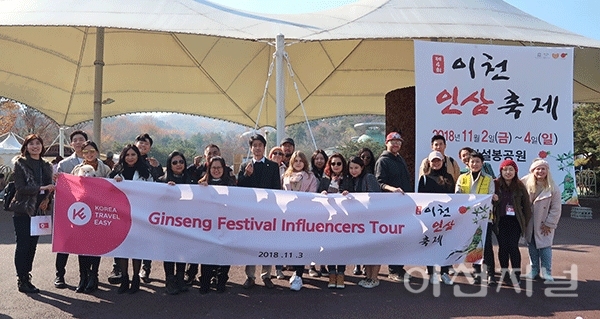 KoreaTravelEasy was featured in Icheon Local News Article that Foreigner Influencers were attended the 4th Ginseng Festival organized by KoreaTravelEasy and supported by Nonghyep Gingseng Organization. This tour was not just one-time visiting, it was the first step to make a sustainable tour city of Icheon for tourists who are visiting Korea. 축제나 특정 이벤트를 통한 반짝 방문이 아닌 외국인 자유여행 관광객들이 꾸준히 방문하는 지속가능한 관광도시 이천을 만들고자 하는 바람을 갖고 시도한 첫 걸음이었다.